Royals Slots Symbols: What Are They? Slot machines feature many different types of symbols, which is what keeps things interesting. But by far the most common icons used are royals slots symbols. What are royals in slot machines? Find out as I discuss these symbols along with why they’re found in so many games. Royals refer to slots symbols are used to represent ace, king, queen, jack, and 10. Essentially, royals represent cards that can form a royal flush. I’ve seen some slots that actually use a real king, queen, or jack when representing these symbols. But most of the time, they’re merely depicted by letters, meaning A, K, Q, J, and 10. The main reason why royals are used in numerous slot machines is because they represent the overall gambling culture. Almost every gambler knows a card deck and the order in which each card suit goes. 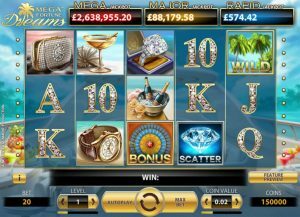 Therefore, it makes sense to use royals in another type of gambling like slot machines. Another reason why royals slots symbols are so common is because this is an easy way to fill out a pay table. Rather than having to think up 8-10 original symbols, game developers can simply use generic A, K, Q, J, and 10 to finish the pay schedule. 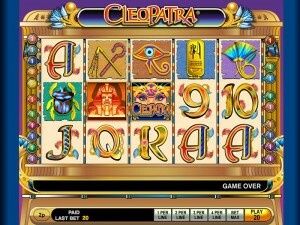 Almost every slot machine features some unique symbols that match the game theme. For example, a basketball themed game may have a hoop, court, basketball, referee’s whistle, and towel as some of the symbols. But it always feels a little cheesy to incorporate royals for all of the lower paying icons. Instead, it’s nice to have every symbol be original and related to the game theme. Nevertheless, I don’t fault slot machines that use royals as long as they have other good qualities. ← Online Slots Auditing: Is a Casino Safe without a Seal?